Customers who need a box computer for equipment integration may find that standard product offerings leave a lot to be desired. And if they choose to customize one of the standard offerings, they soon run into time-consuming sample processes and budget issues, not to mention hardware and software integration, re-verification, and re-certification. But with Advantech, they can bypass these problems. 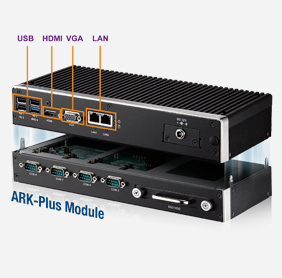 Advantech provides a modular ARK customization service that helps customers build their applications on best-fit box computers with a series of ready-to-order I/O modules. In some applications such as factory automation, I/O isolation is important for protecting systems and electronic equipment. Electronic equipment and signal and power transmission lines can be subjected to voltage surges induced by electrostatic discharge, radio frequency transmissions, or uneven power supply. This may lead to signal disruption or even destruction of whole systems. Advantech developed iDoor modules with opto-isolation that prevents these problems. The main function of an opto-isolator is to block such high voltages and voltage transients, so that a surge in one part of the system will not disrupt or destroy the other parts. Advantech iDoor modules have built in isolators including 2-channel isolated RS-232, 2-channel isolated RS-422/485, 2-channel isolated CANBus, and isolated 16 DI/8 DO that can ensure quality and product lifetime. serial data interfaces, Advantech ARK-plus modules and iDoor modules make excellent options, as they provide rich I/O connectors with excellent data handling abilities, networking connection capabilities and peripheral support. I/O connections include 4 channel RS-232s, 4 channel RS-422/485s, 4 x RS232/422/485 + removable 2.5” drive, 4 x 10/100/1000BaseT(X)PoE, 2-port isolated CAN-Bus, and 3-port GbE + iDoor. 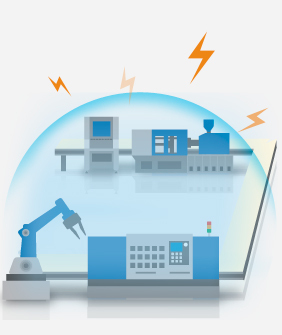 Automation involves connecting machines, work pieces, and systems to a network, and allowing them to communicate with each other to become an intelligent system where individual units influence each other automatically to maximize quality and throughput. A factory that practices Industry 4.0 is called an iFactory. 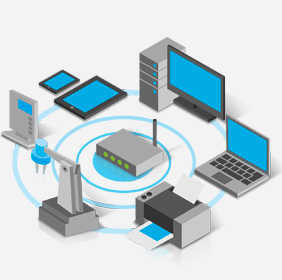 All the devices and controllers are virtually combined into one big system. Also, wireless communications are often an important requirement. Advantech’s unique iDoor modules can be used to flexibly connect with various equipment and systems. These I/O modules are flexible and make for easy hardware integration. 21 Ayoub Buildings, Hassan Aflaton St.Ard El-Golf, Heliopolis,Cairo Egypt.